Twin Spin is a successful game in its own right. 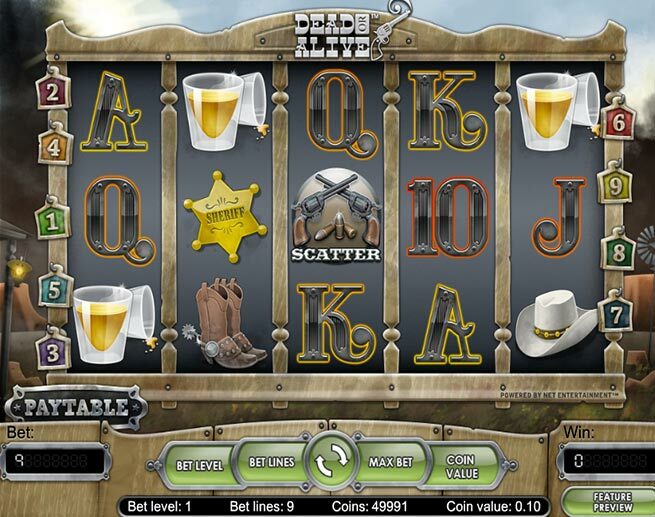 This Net Entertainment developed online pokie contains a very crafty special feature, which we’ll discuss shortly. This feature is also where the game gets its name from. 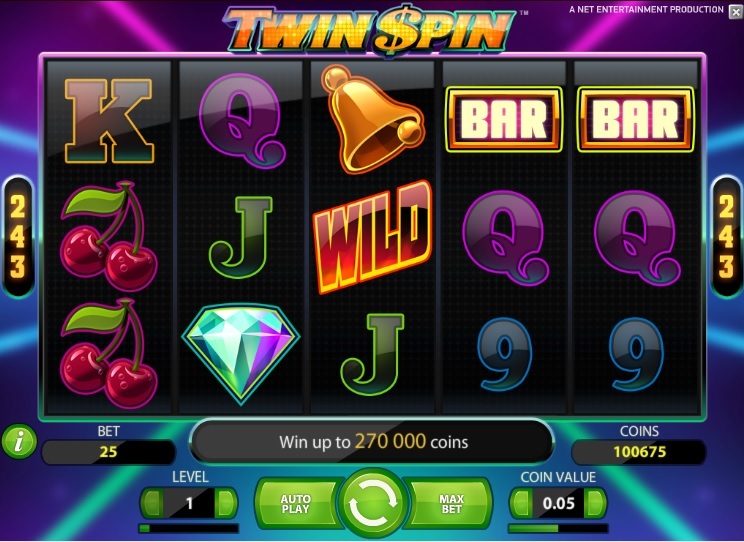 Twin Spin is a classic fruit machine, although modelled in the video pokie format. This kind of fusion has its perks, since you can not only enjoy high playing card, fruit machine gaming, but also the wonderful special features that video pokie gameplay can provide. Twin Spin is remarkable for the fact that it is one of the few NetEnt developed pokies to feature 243 ways to win, spread over its 5 reels. This means you’ve got plenty of winning possibilities when playing the game. The pokie also allows players to choose coin denominations which range from 0.01 up to 0.50, whilst playing on betting levels that stem from 1 to 10. At its cheapest, this non-progressive title will set you back just 0.25 per spin (since you cannot adjust the number of lines), whilst at its most expensive it will cost you 125.00 per spin. Play With $400 + 100 Free Spins Play Now! Twin-Reel feature: Twin Spin takes its name from the fact that before each spin, at least two adjacent reels will join together to reveal the same symbols on both reels. During the spin, as many as three, four or all five reels could link up to show the same symbols. As you can imagine, a chain of five linked reels all displayed the same symbols will result in a mega pay-out. Wild symbol:A wild symbol is also present on the reels in this game, and like the other symbols, it too can be stacked. Wilds can replace all other symbols in the game, but have no monetary value of their own.They too can be linked together to form multiple stacked wild reels. Obtaining the true maximum win in this game is not going to be easy. Officially, Twin Spin’s best paying icon is the diamond, which can see players pocket 1,000 coins when 5 are displayed on any active line. However, given what we’ve seen, you and I know better. If you were to land wilds on all of the reels in a five-linked reel spin, then you’d come away with the top non-progressive prize, which Net Ent values at 270,000 coins. Twin Spin is one of the most unique video pokies to appear in recent times. 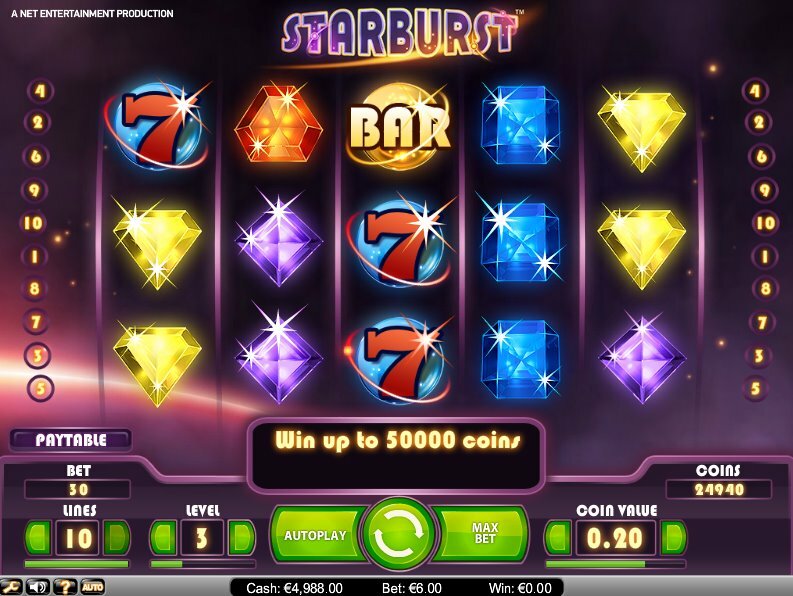 The ability to have linked reels makes playing this pokie a really exciting prospect. Not only it is cheap, but you’re guaranteed at least two linked reels during any spin. Obviously, the closer to the front the links are, the better your chances of success, and the more wild reels you get, the bigger the wins. There’s a lot of potential for big wins in Twin Spin, and when coupled with the dirt cheap bets, this pokie isn’t really a game you’re going to want to miss out on.